In addition to releasing the K-50 and K-500, Pentax has announced the Q7, the smallest and lightest interchangeable-lens camera. The 12.4MP Q7 comes with an upgraded 1/1.7-inch CMOS sensor and boosted sensitivity to ISO 12,800. 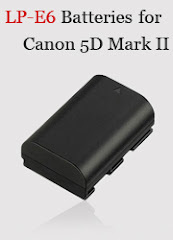 The other features include a built-in flash, full 1080p HD video recording, image stabilization, and Eye-Fi support. The camera will be available in 120 color combinations sometime in September for $499.95 (with 27.5-83mm equivalent lens). 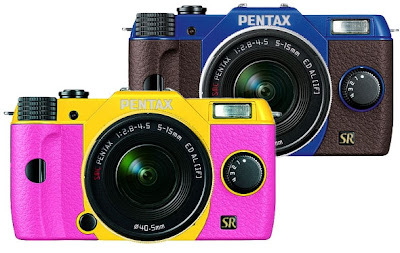 PENTAX RICOH IMAGING AMERICAS CORPORATION today announced the fun and highly capable Q7 compact system camera. Available for order in 120 eye-catching color combinations through PENTAX’s Color To Order™ system, the Q7 gives creative control to the consumer with a complete system of interchangeable lenses, filters, viewfinders, and fun smart effects and digital filters enable truly limitless creativity. Setting a new standard in the imaging industry, the Q7 incorporates a growing trend among consumer products: customization. With an expertly architected supply chain management system designed around Color To Order, consumers are empowered to integrate individual style, personality and taste into their camera sparking the creative process even as their order is placed. Joining the already successful Q10, the Q7 features an upgraded 1/1.7 inch, back-illuminated CMOS image sensor, high sensitivity shooting up to ISO 12800 and enhanced Q ENGINE with faster response time during start-up and shooting time, the creativity continues as beautiful, sharp images are captured. Weighing in a just 7 ounces, the Q7’s compact body enables easily poket-able portability while the fun filters and assorted lens variety inspire the casual photographer to elevate their creativity. With 19 smart effects and filters and seven lenses, a retro look and feel can easily be applied in-camera with the ability to layer different effects for greater expression and better image quality than cell phones ever dreamt of. Additionally, with the Q7’s enhanced Eye Fi SD card compatibility and built-in menus, users can now edit, re-size and share photos instantly. Also introduced today is the 07 Mount Shield lens. As the seventh member of the Q-family lens mount, the 07 lens produces a truly unique and timeless visual effect, comparable to the original pin-hole camera—with a fixed aperture of F9 and a focal length of 11.5 mm (or 53mm in 35mm format), for an extra-ordinary image with distinctively velvety edges. Featuring a focusing range of approximately 0.7-2m, still life shots and macro photography are given a beautiful dream-like look and feel. Weighing a mere 8 grams, the 07 Mount Shield lens is extremely small, resembling a tiny Q series body cap making it an ideal lens for pocket-able fun, and travel photography. The Q7 kit with 02 zoom lens is available to order today in a choice of 120 color combinations at pentaximaging.com and retail outlets nationwide in August 2013 with a suggested retail price of $499.95. The 07 Mount Shield lens will be available for purchase online and at retail outlets nationwide in July 2013with a suggested retail price of $79.95.